The dedicated team of boiler repair engineers at BSW are fully qualified and accredited, with experience in handling all types of issues with central heating and boiler systems. We are qualified to work with all brands of boiler including Glow Worm and Worcester-Bosch, meaning that we can provide professional advice and assistance where others cannot. Our team of certified engineers carry out boiler installations in Horsham for both residential and commercial customers. If you are a homeowner in need of a new boiler, our team will guide you through the options and the process, providing peace of mind along the way. We also work with architects, developers and landlords on new build projects. If you are looking to roll out boiler installations across multiple sites or properties, our team can help. It can be incredibly stressful for families when a boiler breaks down, particularly during the winter months. A boiler is a key component of any household and any period of time without heat or hot water can cause stress and unnecessary discomfort. Our professional boiler repair service is there to provide emergency and essential maintenance and repairs, when you need it most. BSW provide both one off repairs and a dedicated fixed price service scheme in order to provide careful maintenance and support for your boiler throughout its lifetime. These schemes come with a variety of benefits, some of which are shown below, and are available to all BSW customers, even those with boilers not installed by a BSW engineer. With a team of fully Gas Safe and APHC accredited engineers as well as being qualified to install all boiler brands, we also provide boiler replacement services in Horsham and the surrounding areas. 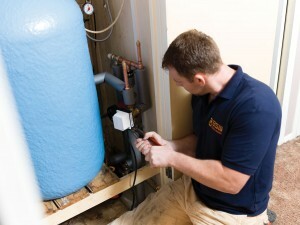 This is ideal in those instances where a boiler is in need of more than a repair. BSW was established in 1962 as a small family run business and since then we have grown exponentially as one of the leading central heating companies in the South East of England, with over 100 employees. We provide expert advice and assistance in boiler installations, boiler repairs and boiler replacement services in Horsham and the surrounding area. Throughout our growth, we have maintained our original family ethics and values in order to continue to provide our clients with the best possible service and good value for money. As well as our first class boiler repair and boiler replacement services in Horsham and the surrounding area, BSW are also qualified to supply and install renewables under the Microgeneration Certification Scheme (MCS). For a more environmentally friendly solution to a heating system for your home, we offer a variety of renewable energy schemes suited to the specific needs of your property. We can install renewables such as Biomass Boilers, Solar PV Panels, Air Source Heat Pumps and more. For more information on professional boiler repairs in Horsham and the surrounding area, to find out more about the other services we provide or for advice on boiler replacement for your Horsham home, contact us today. Simply fill out the form found below or on the right with your details and any additional information and we will get back to you as soon as possible. You can also call us directly on 01444 831138 to speak to a member of our team. We look forward to your call.